The All-New Jaguar F-Pace, the first SUV for Jaguar, was named the ‘Supreme Winner’ at the 2016 Women’s World Car of the Year Awards. The F-Pace also took the title for ‘Women’s World SUV/Crossover of the Year’. An unique award for the F-Pace, it’s the only car award voted on by entirely women. 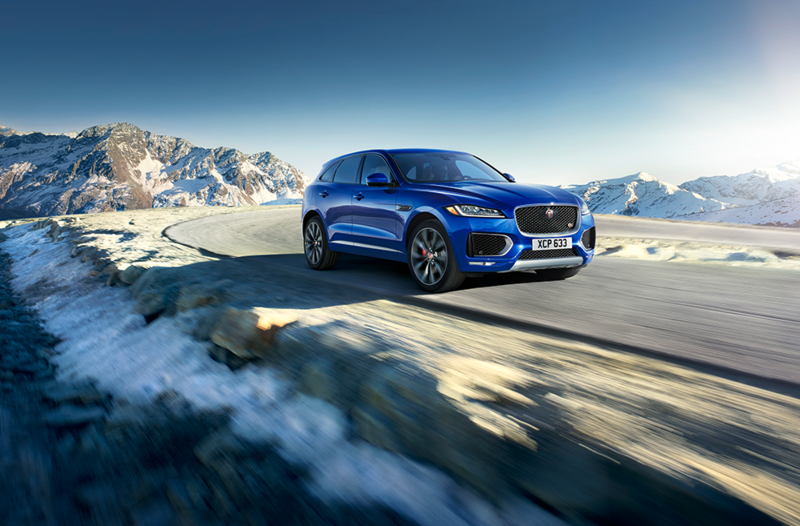 This is yet another honor for the F-Pace, as it takes the Colorado vehicle scene by storm! Drivers in Colorado Springs are loving the F-Pace when they test drive it and cannot stop raving about it’s looks and performance! Everyday usability of the F-Pace combined with the stunning design and unparalleled driving experience, has made the F-Pace a very sought after vehicle for Colorado SUV buyers. Buyers who desire the luxurious treatment they love in the Jaguar XF, the performance of the F-Type, and the ability of an SUV, have it all now. The F-Pace also has the ground clearance to take on the snowy back roads of Colorado and the Continental Divide! The F-Pace boasts a 3.0 liter supercharged V-6 engine or a super efficient 2.0 liter turbocharged diesel from the all-new Ingenium engine design. The 3.0-liter supercharged V-6, which is also in the F-Type, is available in both a 340hp and 380hp version. The 380hp engine is capable of 0-60 mph in a quick 5.1 seconds! The diesel boasts amazing low-speed torque and an EPA estimated 33 mpg on the highway for amazing fuel efficiency. An impressive 33.5 cubic feet of cargo space with seats up and a versatile 40:20:40 rear seat folding configuration. Every inch is carefully considered for maximum usability. The F-PACE takes the Jaguar DNA of legendary performance, handling and luxury, and adds practicality and space. F-PACE has the performance for every road and the capacity for every day. A Jaguar for the driver, a Jaguar for the active lifestyle. Stop by Jaguar of Colorado Springs and just take it for a spin, you will see what the hype is about!